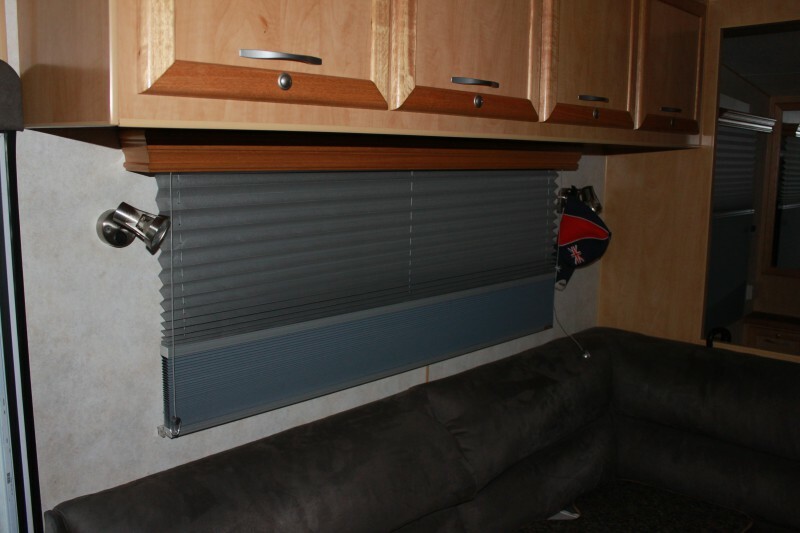 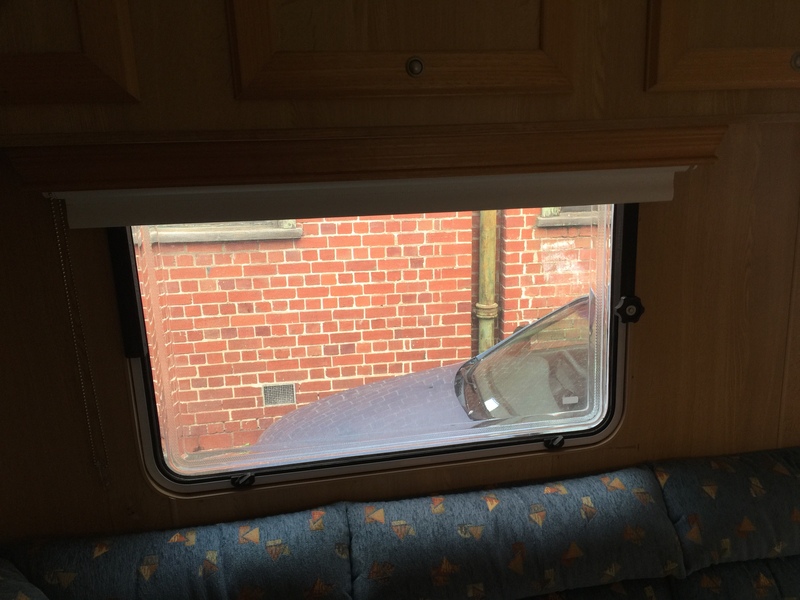 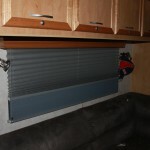 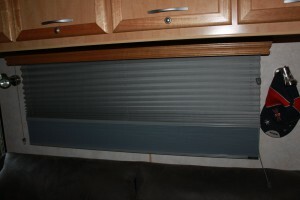 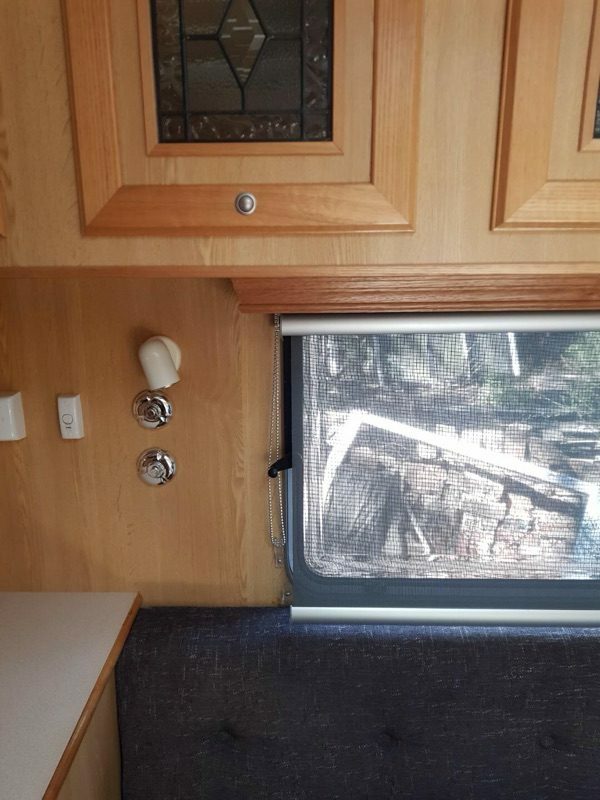 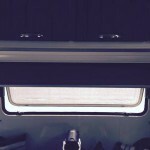 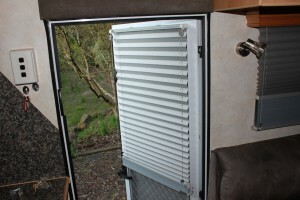 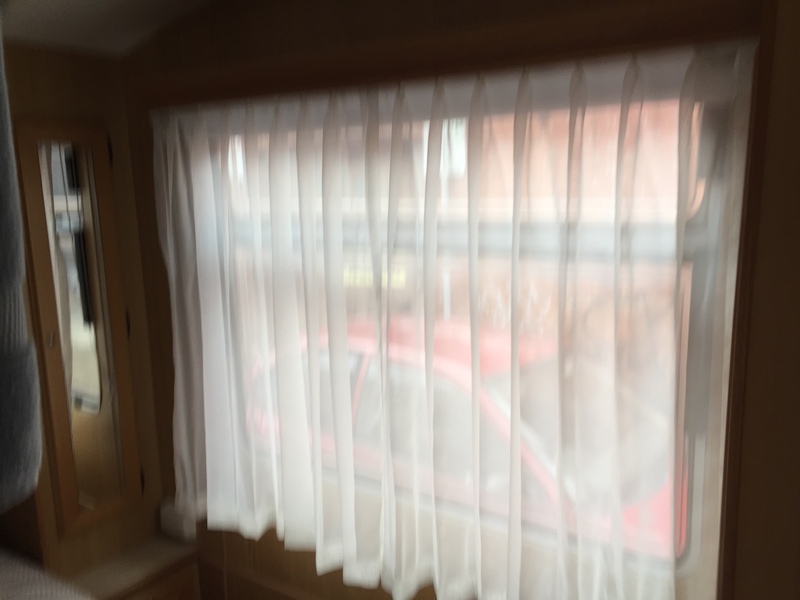 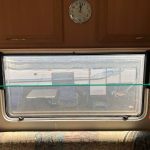 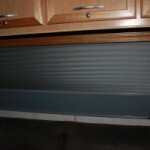 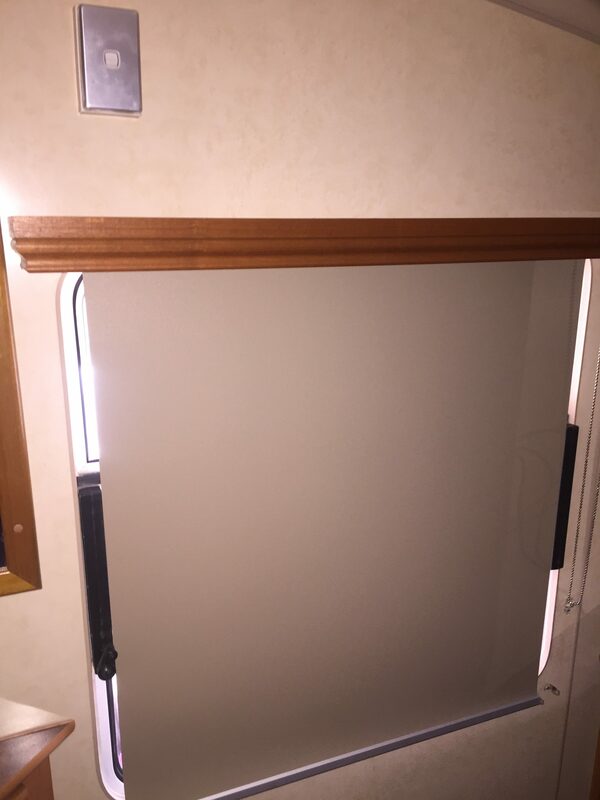 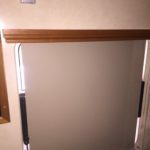 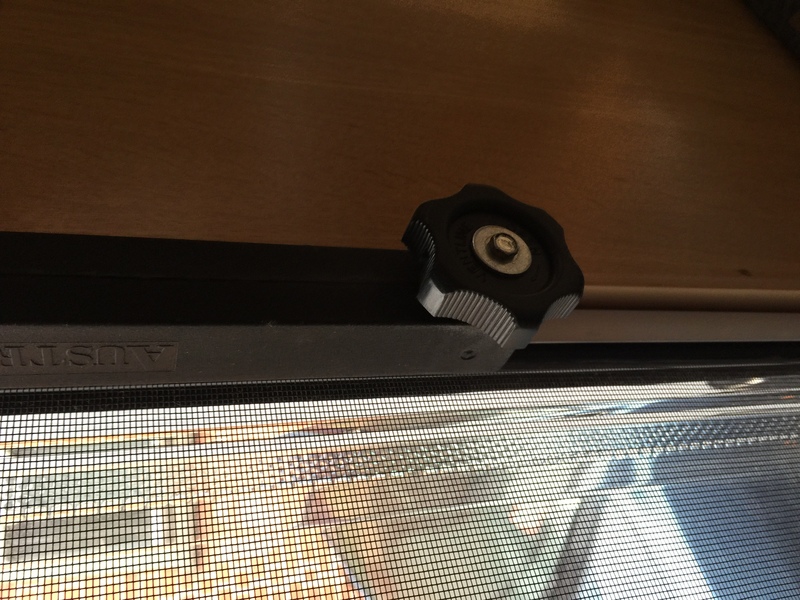 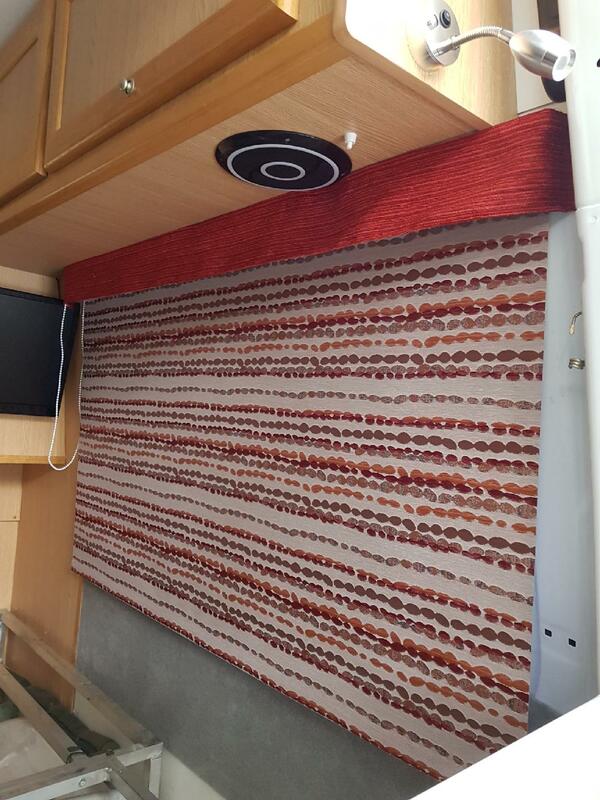 Are your existing window furnishings in your caravan, motor home, looking tired or worn? 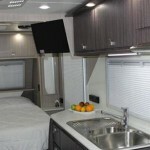 Are you seeking a new fresher look? 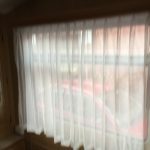 We can help you with new window furnishings to suit your budget and style. 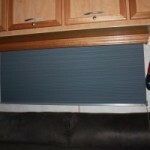 We can custom make to your measurements or we can measure, make and install for you. 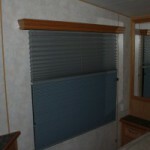 We also do reparis. 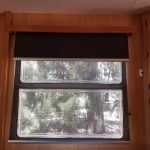 Looking for privacy in those busy camping spots – then consider sheer curtains on your windows to provide privacy during the day with blockout curtains to provide greater privacy at night and help keep that cool night air out. 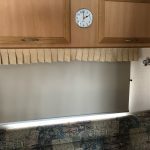 Are curtains not your style? 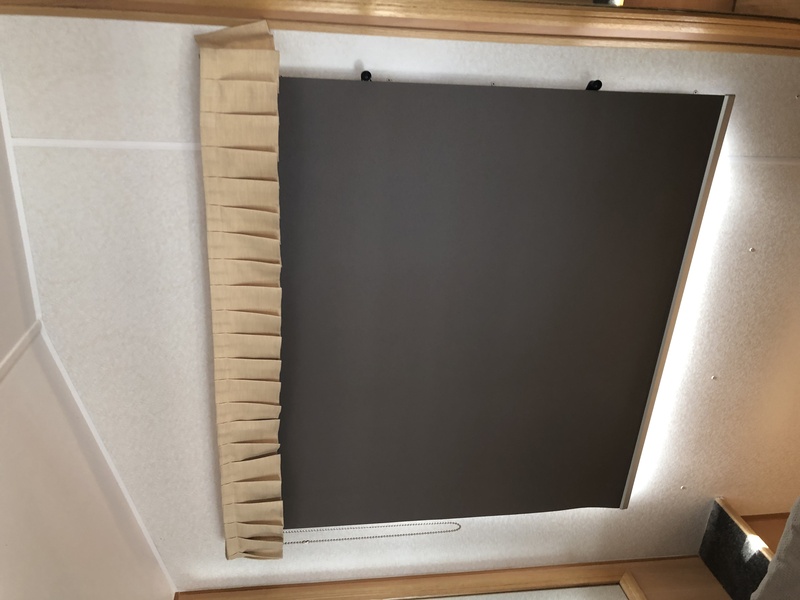 Then we can help you with caravan roller blinds (mini blinds), caravan venetians (mico slim), caravan pleated/honeycombs tailor made for your windows. 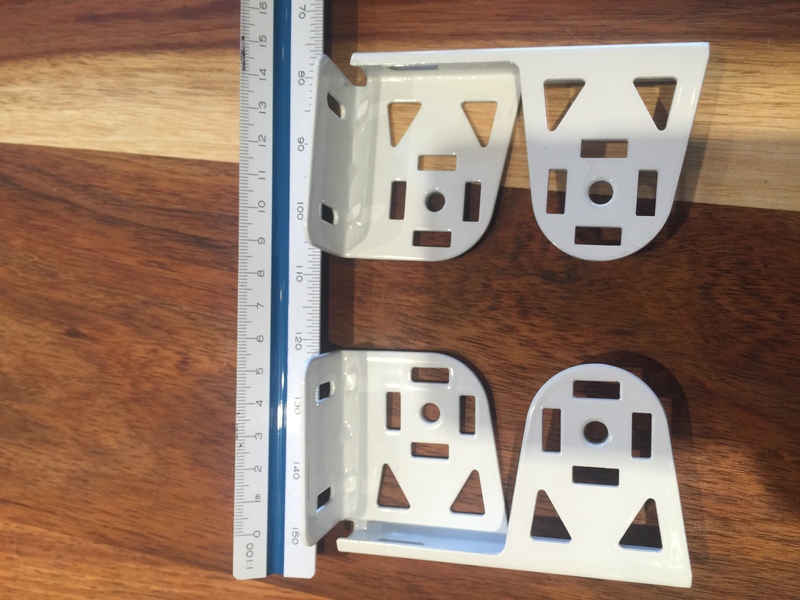 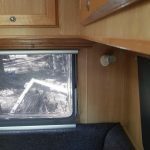 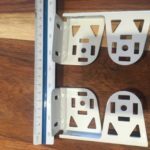 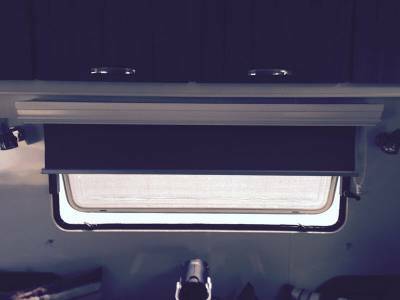 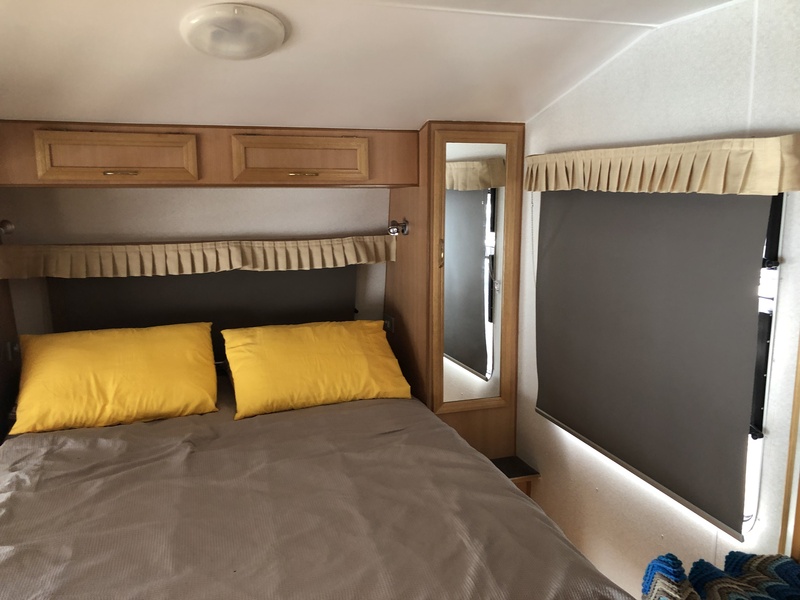 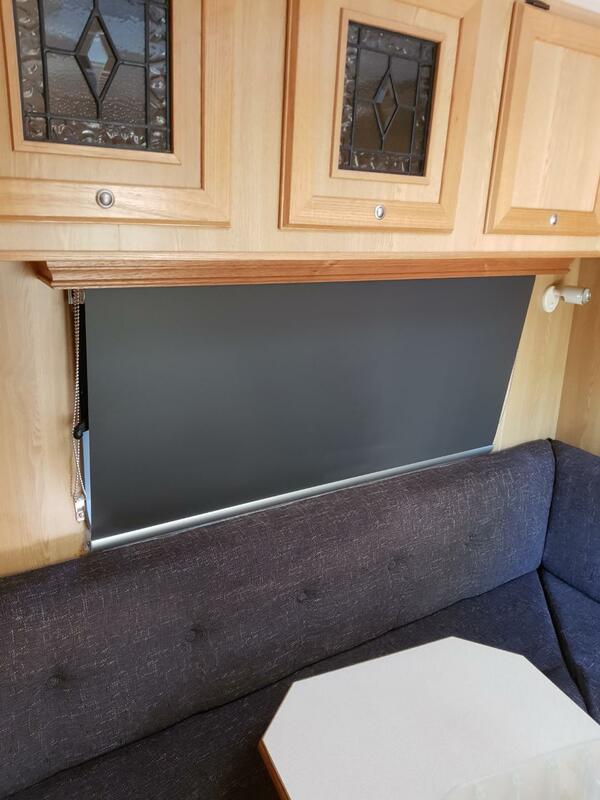 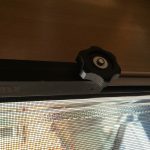 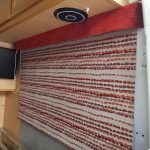 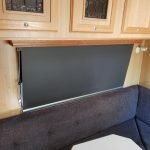 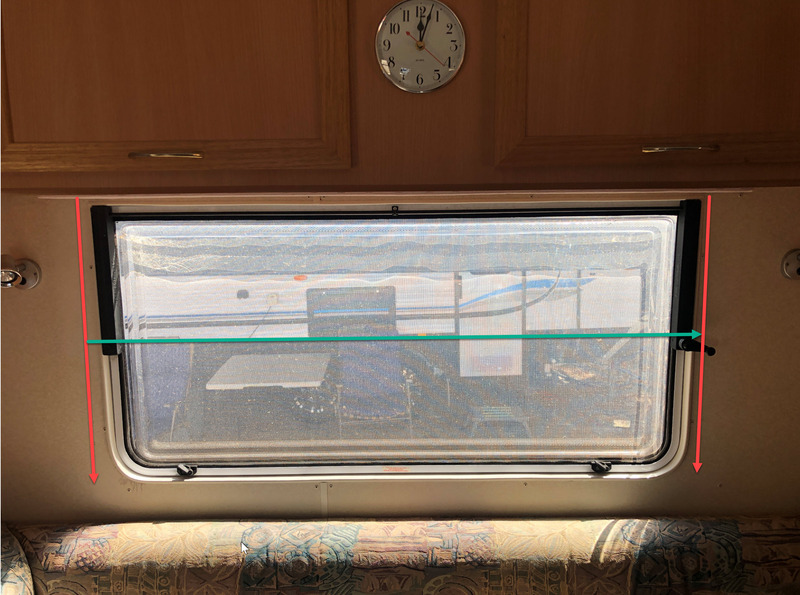 We carry a number of micro tracks that can be fitted into the smaller caravan pelmets, including dual roller blinds for caravans. 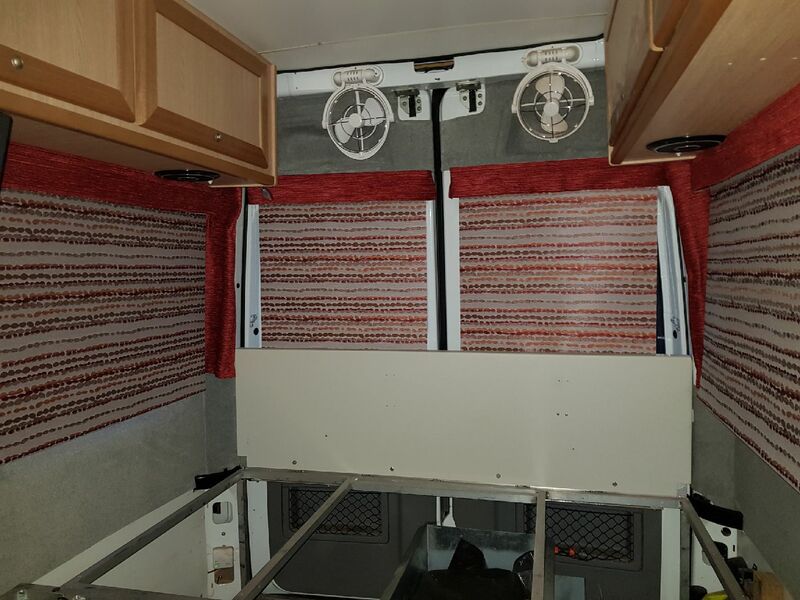 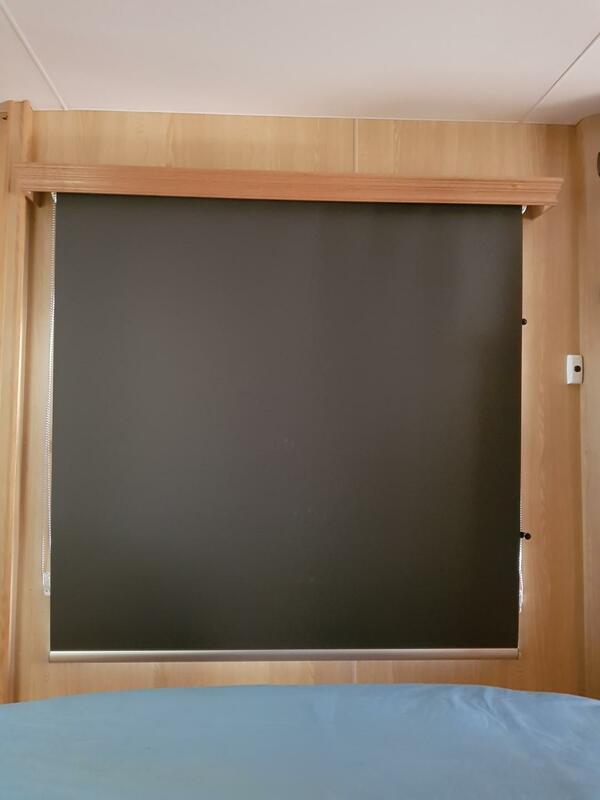 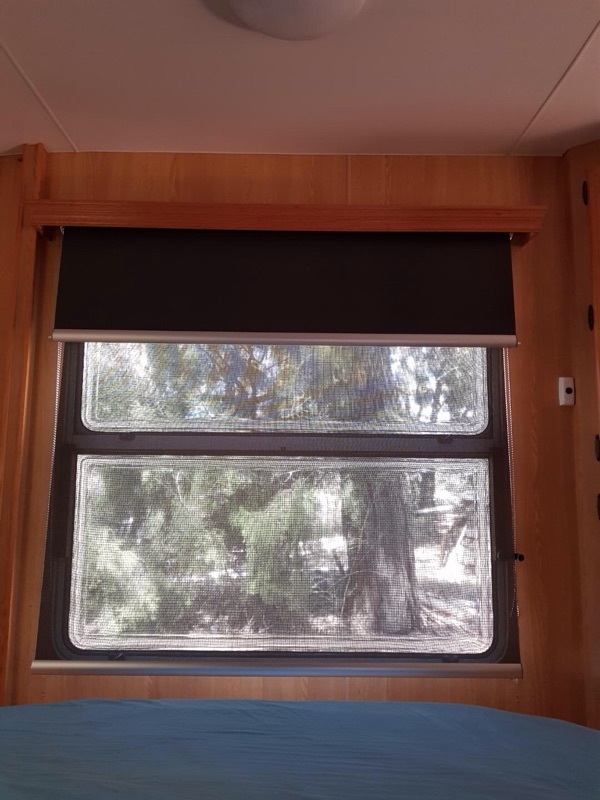 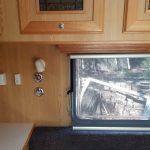 Dont just think curtains and blinds, we are increasinly seeing Top down/Bottom up Honey combs which can be fitted to your 4WD, bus, boat, truck, combi van, winnebago, and anything else that requires small format solution. 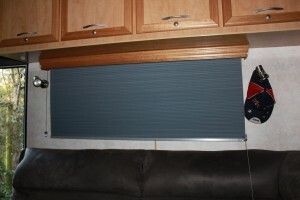 Contact us today to discuss your needs and we’ll be more than happy to help you. 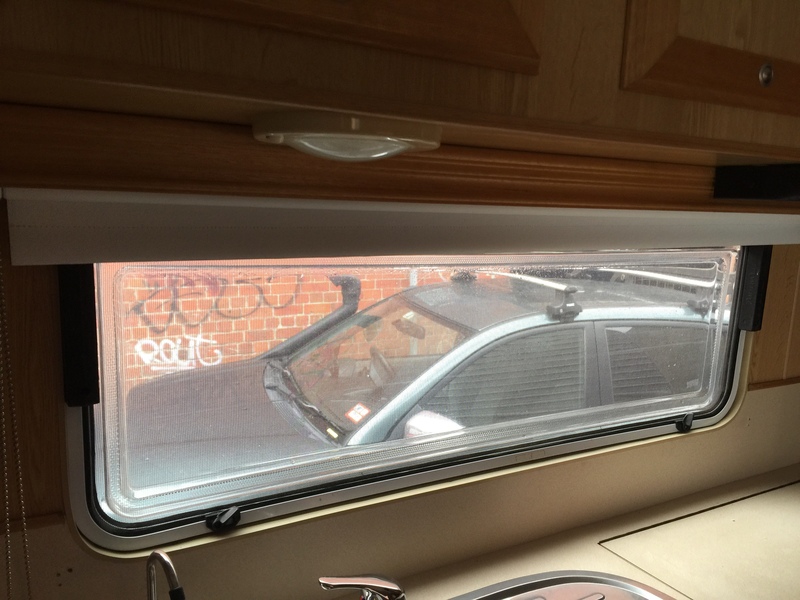 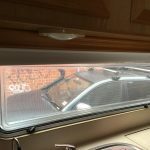 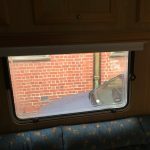 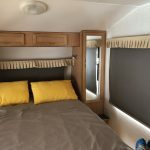 We offer a free measure and quote service or can provide parking while we have a look at your van, you can also leave it with us as we have enought room to store a numbe of caravans. 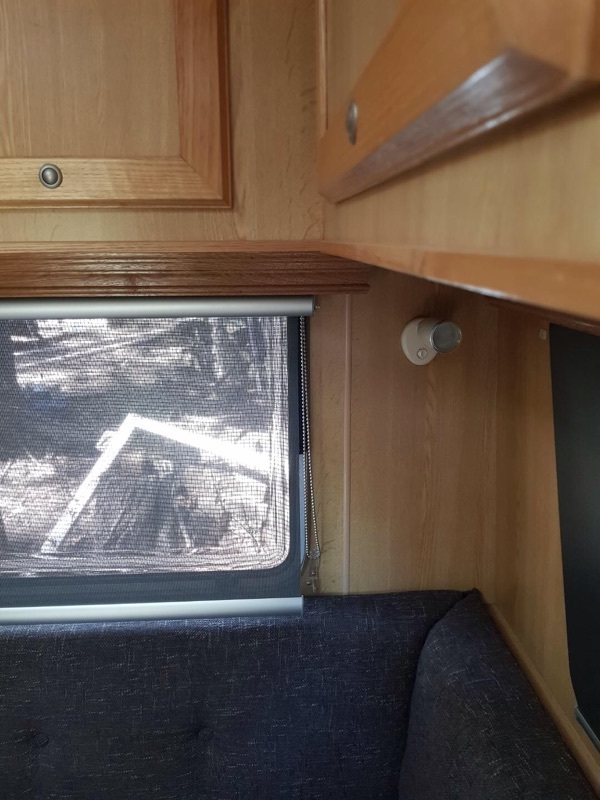 Call as you start or complete your travels. 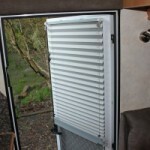 Bascically if you have seen it in a house we can build it for a caravan. 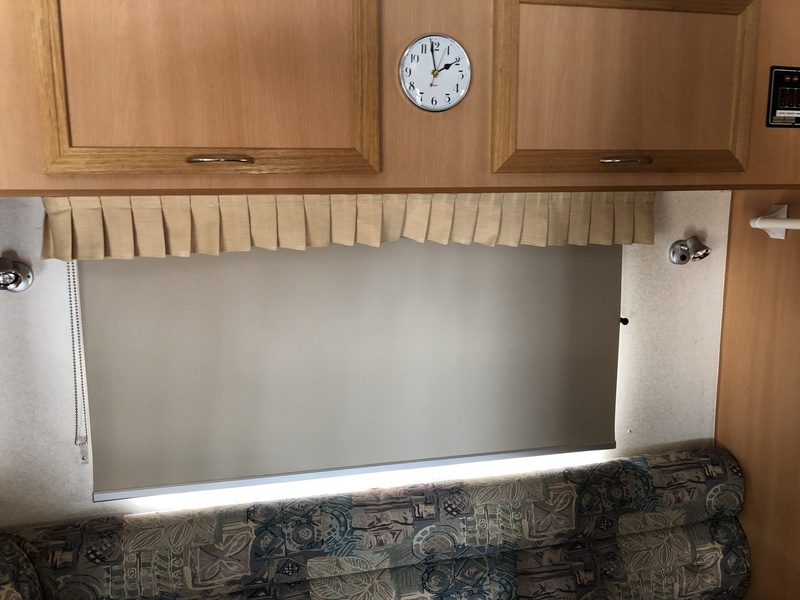 Consider updating your caravan today. 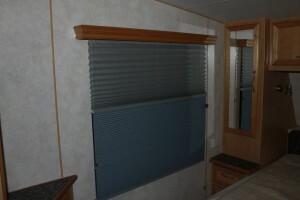 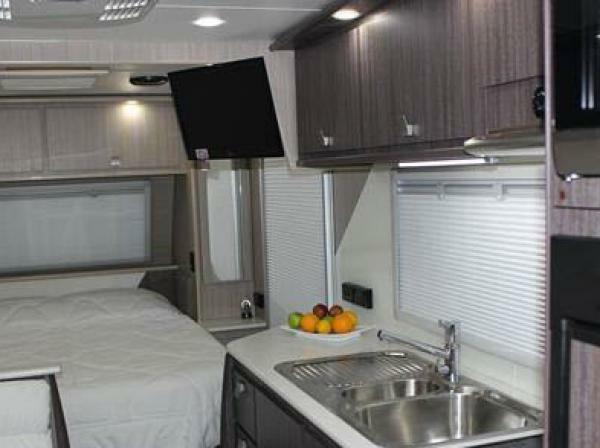 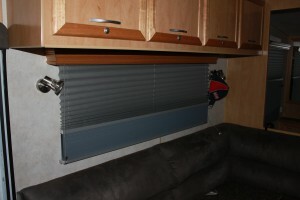 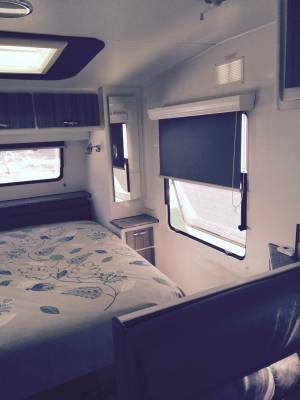 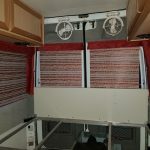 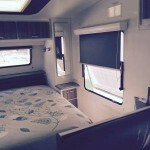 The fabric we have found to be successful in caravans are from a company called www.uniline.com.au, out of Queensland. 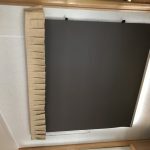 If you use the “request a fabric” they can send out up to 10 samples. 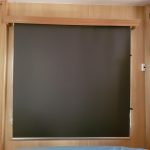 Dawn is a vinyl backed product, same colour front and back, they also have Evoluton, a rubber backed product or textured products like 6th ave.